Let’s confess that sometimes we are curious and excited to peep in the windows or half-open doors, like Alice in her Wonderland, who was curious enough to get into that notorious rabbit hole. She discovered a new world, completely different from her own. 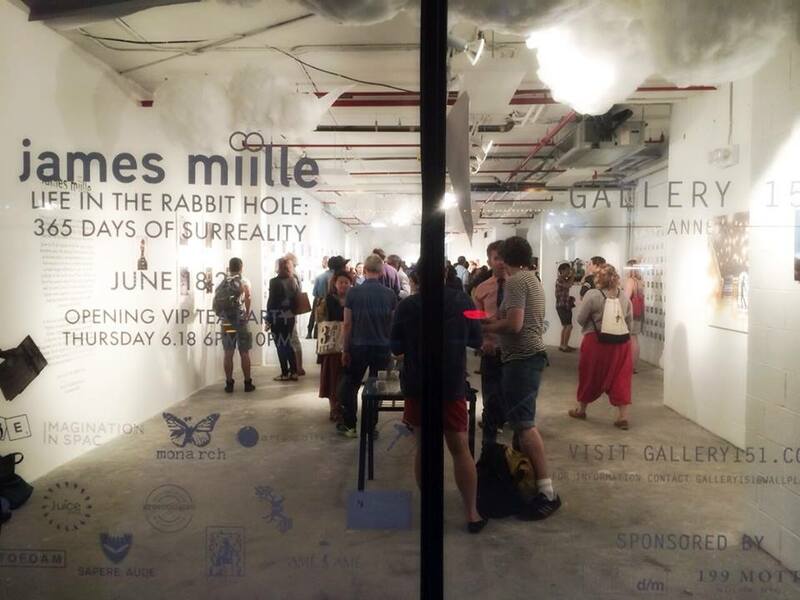 Photographer James Miille actually invited you to get into his “rabbit hole” – with hundreds of photographs exhibited, he showed his 365 days of adventures and discoveries during the entire year. 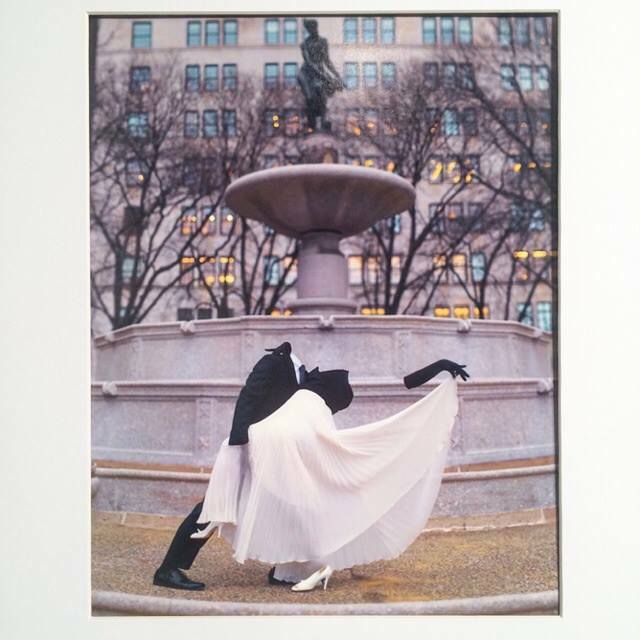 The Opening event was stylized as that famous Tea Party and was full of surprises: in a Nolita loft, under the clouds hanging from the ceiling, you could enjoy whimsical photographs, dance to the DJ music, listen to the opera singers, sip refreshing sparkling wine from the tea cups. 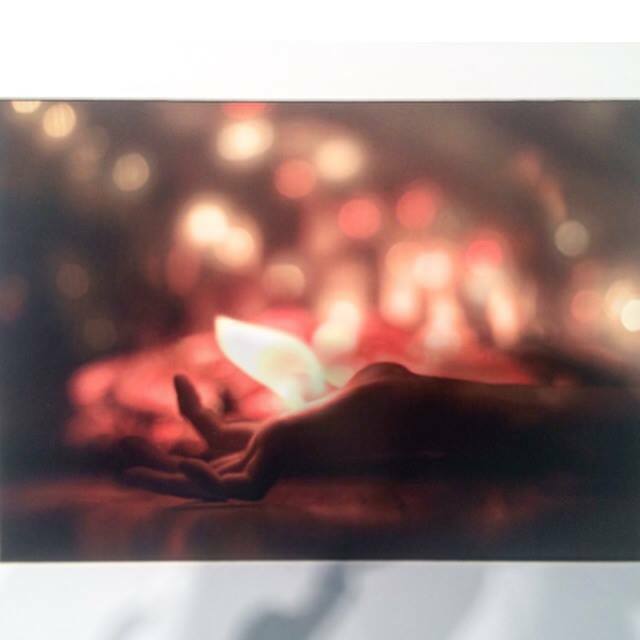 James Miille’s works are not just photoshopped pictures. 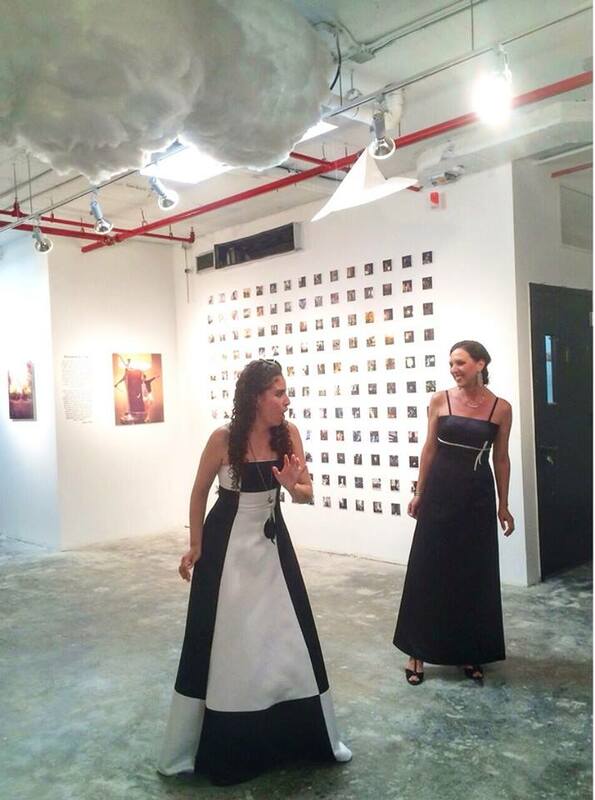 They are the artist’s personal experiences and memories. 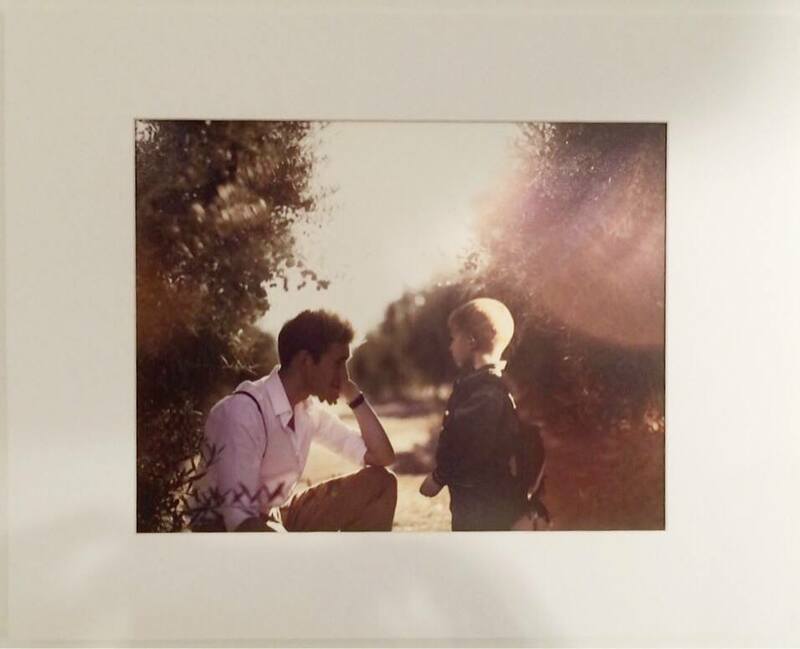 For example, in the picture below you can see James Miille, a grown up man, talking with his younger self. That little boy is probably six years old. What can those two persons tell each other? Do they like each other? What do they remember, dream of, cherish? James Miille meeting his younger self. 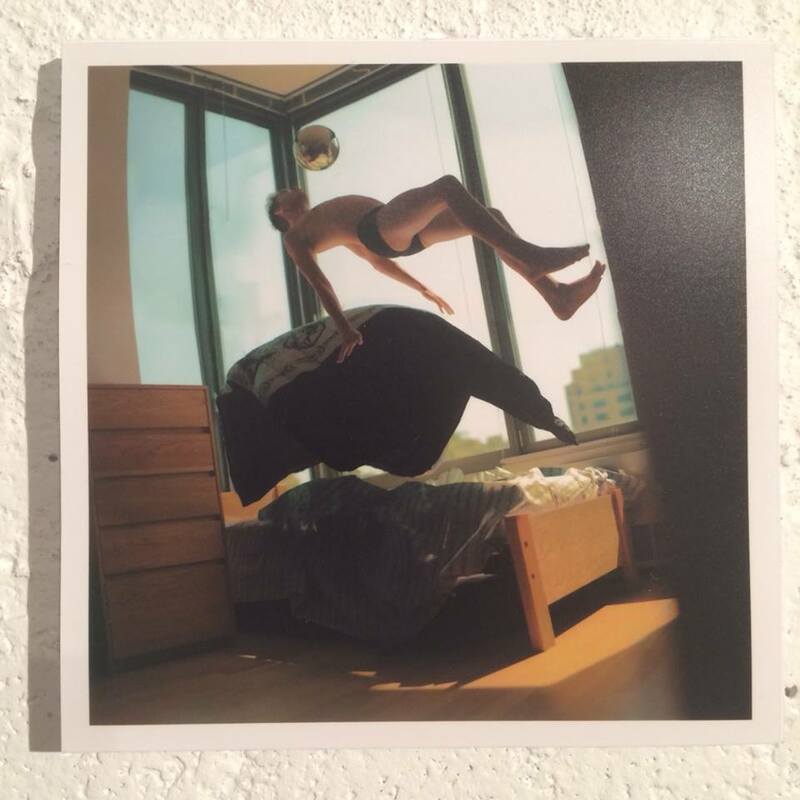 “Life in the Rabbit Hole” Photography Show. 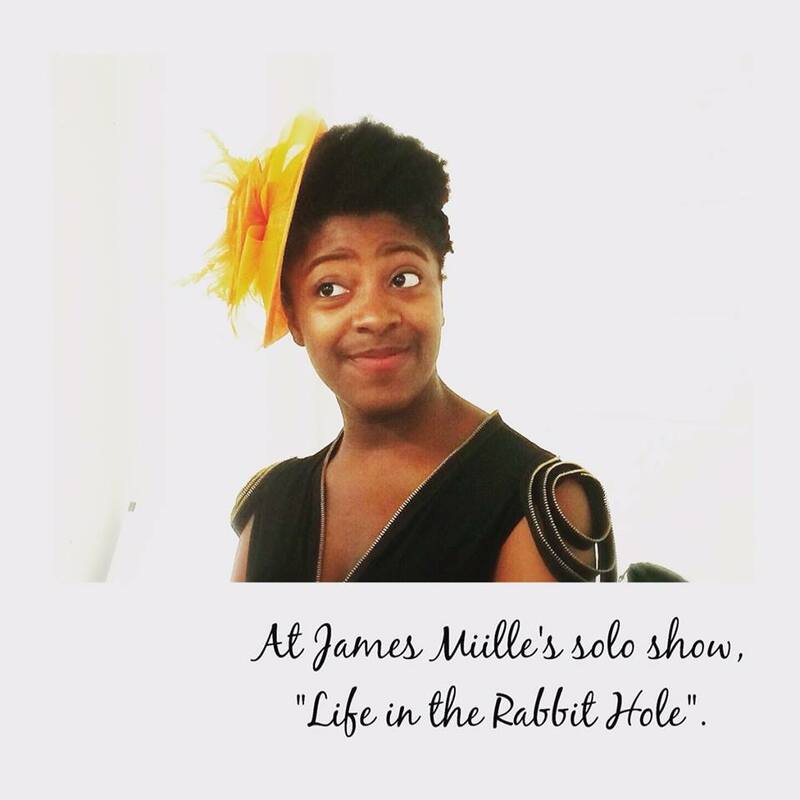 Welcome to the Rabbit Hole of James Miille! 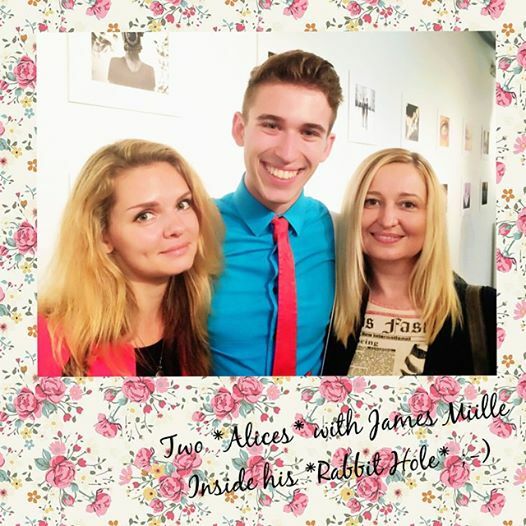 James Miille and RE:ARTISTE at the Opening Party in the *rabbit hole*. 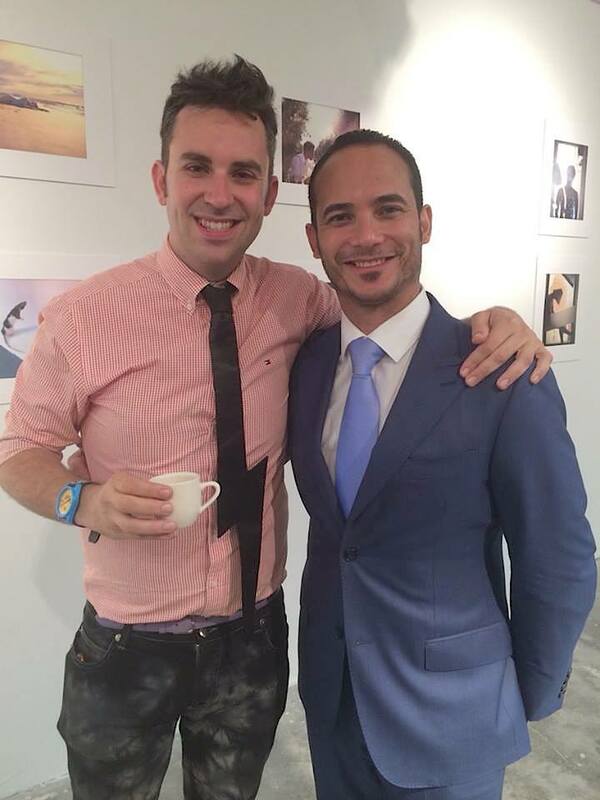 Alex Mitow and Yubal Márquez Fleites, producers and curators of the show. 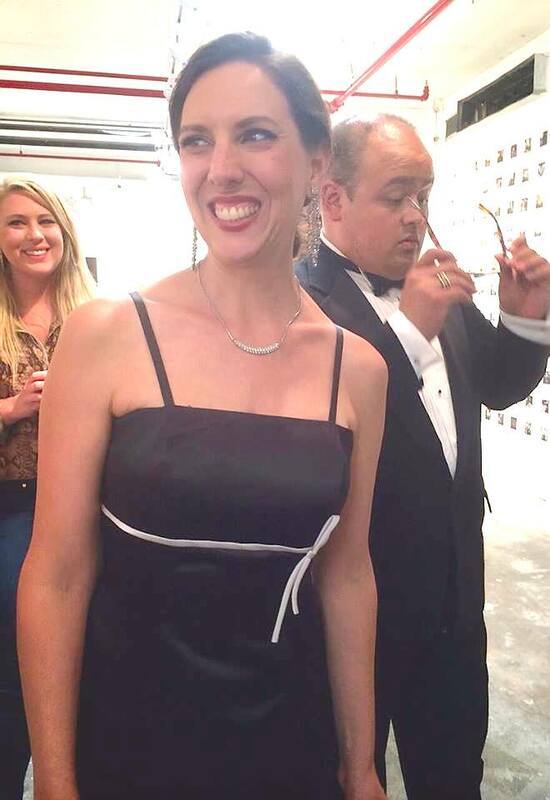 Opera singer Sara Pearson at the Opening Party. 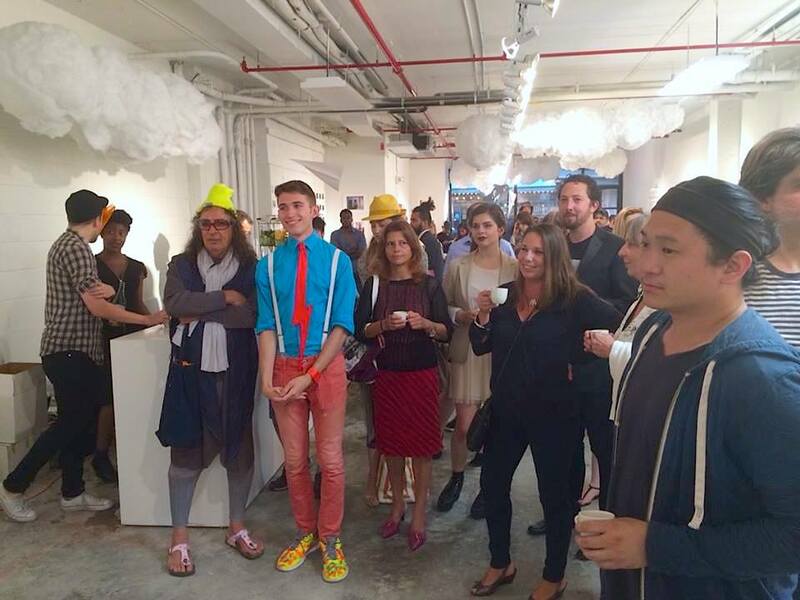 At James Miille’s Opening Party.